Villa Rossa, is an elegant villa surrounded by the green Umbrian countryside. 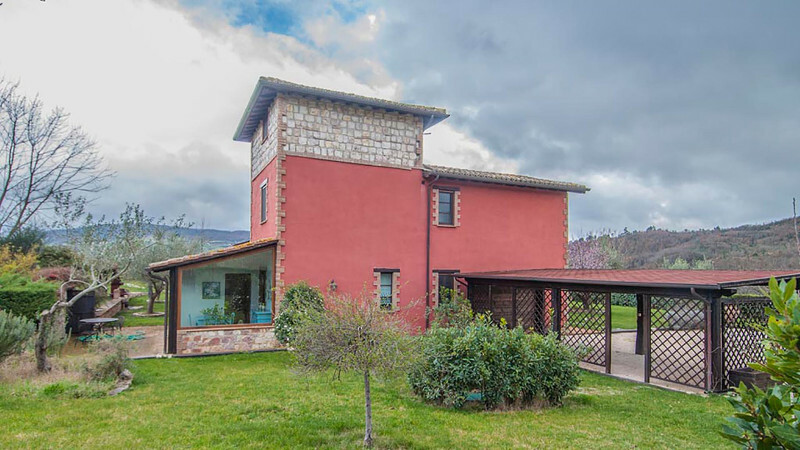 Completely fenced, the villa of 240 square meters, has three floors, with a picturesque tower. The ground floor, which opens directly to the garden and pool, consists of a large living area with adjoining dining room, fully equipped kitchen, living room with fireplace and a lovely windowed room for breakfast. Guests have access to the barbecue and all the vessels of the pool. Evocative outside corners furnished to enjoy the balmy summer evenings. On the ground floor is the first double bedroom with private bathroom. On the first floor there is the second double bedroom with private bathroom, and on the turret room with two beds and its own bathroom.